It may be cold outside right now, but spring will be back before you know it. And, when it does, you’ll want to be ready. Use this guide to prepare your garden for spring to help make your spring planting less hectic. ~ Order Summer Flowering Bulbs and Seeds before winter ends to prepare your garden for spring planting. ~ Plant summer bulbs such as lilies, gladiolus, and Ranunculus in early spring for a colorful summer display. For more information on how to plant bulbs, take a look at this article. ~ Clear up flower beds and borders. 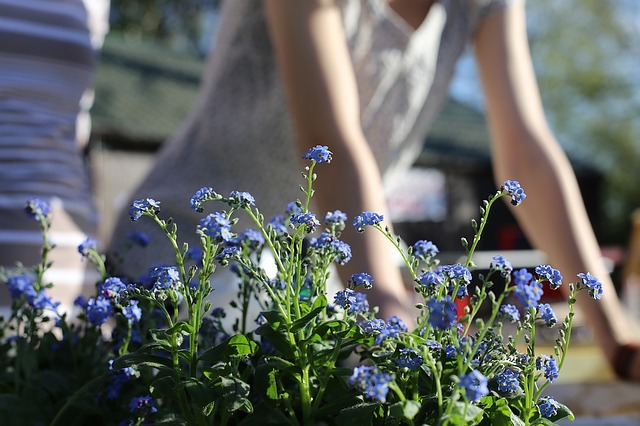 Take a day to tidy up by removing leaves and other debris from your flower borders, lawns, and ponds. Cut back old dead growth of grasses and perennials to prepare your garden for spring. ~ Sow seeds that need a longer season in January or February. Some of these may include Geraniums and Begonias. ~ Hunt down and remove garden pests in the winter. It will save you a lot of trouble in the spring and summer. Take a close look at the crowns of your perennial plants for slugs, snails, and aphid colonies that are sheltering for the winter. ~ Move poorly placed shrubs while they’re dormant in the winter. Dig a wide berth around the root system. Take as much of the root ball as possible for planting in the new location. Place the root system at the same level as the previous location and water well. ~ Winter is a great time to mend fences, gates, and trellises. It may be cold outside, but performing this task now will prepare your garden for spring. You will enjoy planting season much more if you’ve completed the tedious tasks ahead of time. Do you need help preparing your garden for spring? Call Nichols Reliable Lawn Care & More at (479) 502-2192 to get a head start. We can help you with lawn renovation, trimming, weeding, and more.